Finally, the first (native) flowers are blooming! As usual, they’re the little mustards on the steep bluff prairies. 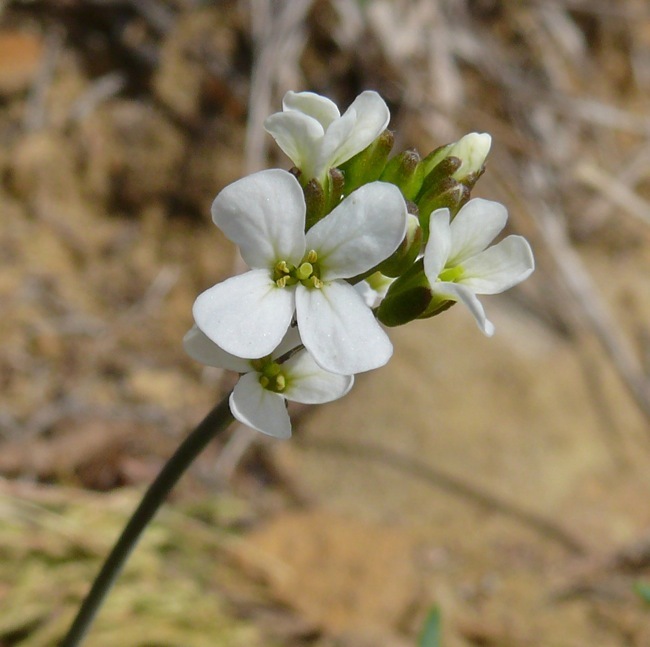 This year I’ve only found Sand Cress (Arabis lyrata) in bloom. Usually Common Whitlow Grass – another mustard, in spite of its name – is blooming too but I haven’t found any of those flowers this year. Spring has been coming and going away again all week. 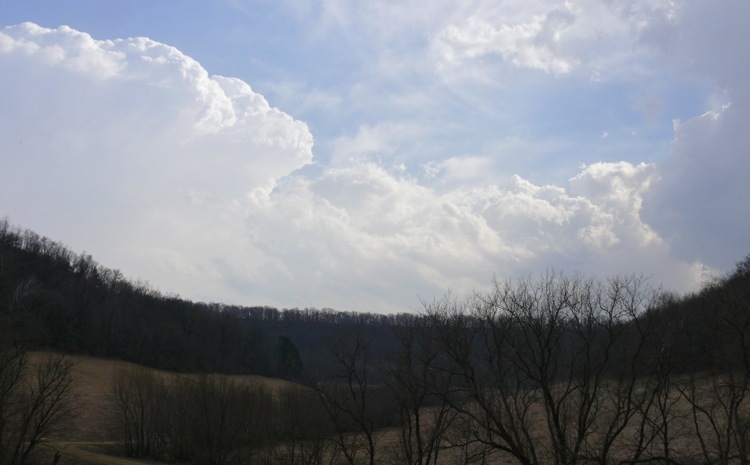 Last week we had one day of nearly 80 degrees, with a big thunderstorm. This week we had a snowstorm that left about a half inch of snow/sleet on the ground, but it melted in less than a day. And today, again, there’s a forecast of 3 to 5 inches of snow overnight. I had just been reading about bats sometimes flying during the day, when I saw one! It was flying over Sumac Prairie in the middle of the day. I stopped and watched it swooping back and forth, and then suddenly an American Kestrel flew in to perch on a tree, and the bat disappeared. 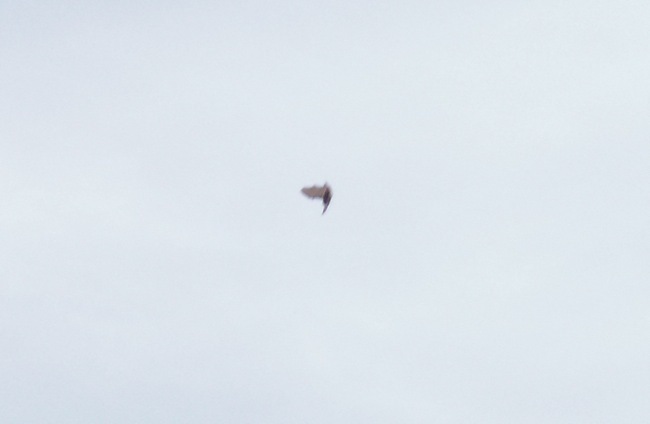 (I couldn’t tell if the kestrel was chasing the bat, or if its appearance was just coincidence.) I got a few not very good photos of the bat – hard to photograph when it’s moving so fast! Apparently they will fly during the day when it’s still cold at night. Possibly because there are many more insects during the day at this time of year. 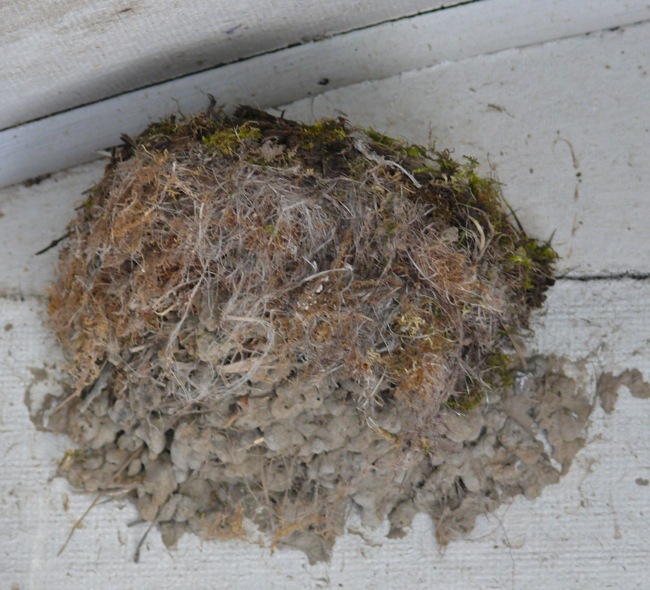 A pair of Eastern Phoebes are making a nest in one of the old sheds near where the old farm house used to be. 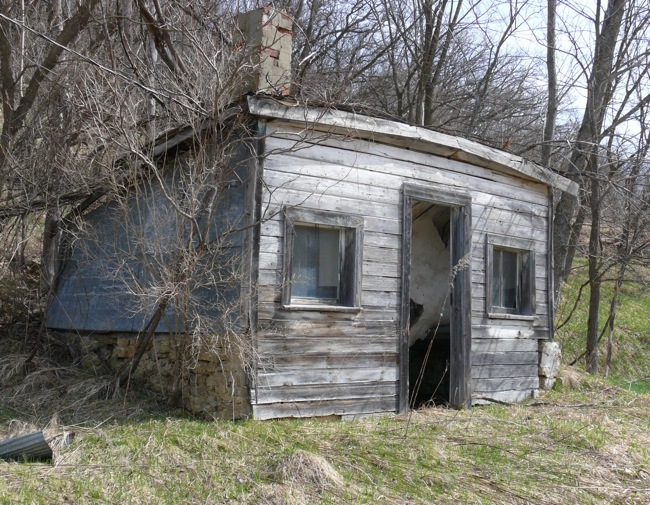 There are still a few old, run down buildings there, that no one has used for years. The Phoebes nest in this one every year. 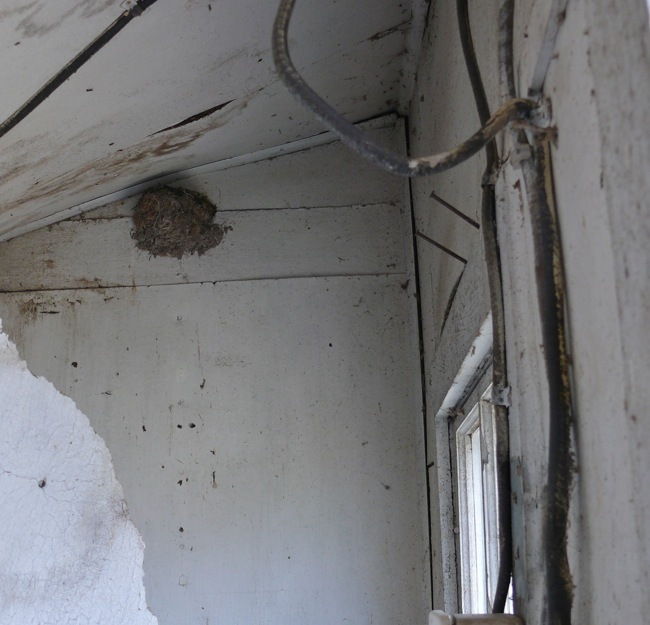 Here’s their nest – tucked up near the roof, in the one corner of the room where the ceiling is still intact, and the walls aren’t falling in. Yesterday afternoon we heard two Barred Owls calling to each other near the north end of 3 Finger Valley. One had a much deeper voice; males and females often ‘talk’ to each other during courtship, and the male makes a deeper, more mellow sound. 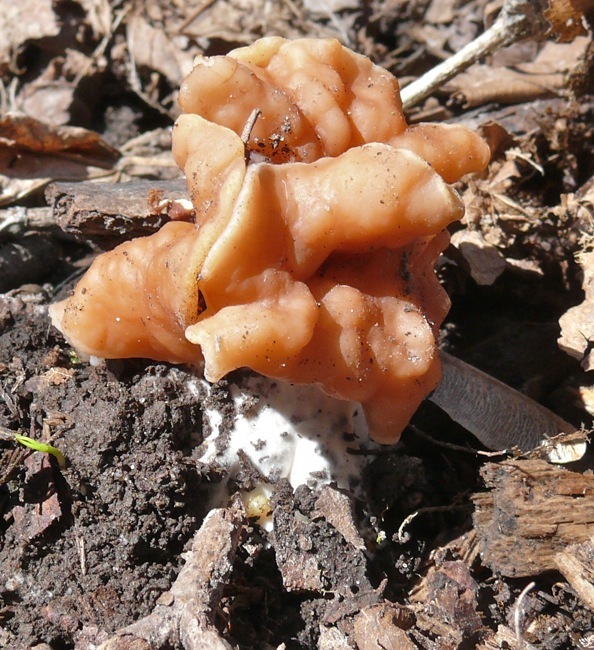 I found a False Morel growing in Fern Valley – I’d never seen one before. They are in the genus Gyromitra, and there’s some debate about which species is which, and how to tell them apart. I think this one is Gyromitra brunnea, but I’m not sure. I don’t actually think this looks much like a real morel, but apparently sometimes they can be confused. Unlike ‘real’ morels, these false morels aren’t edible – partly because of the difficulty of distinguishing the edible from the poisonous species. Wood Frogs have been calling for the last week or so, from our Frog Pond, our neighbor’s ponds, and the wetland. 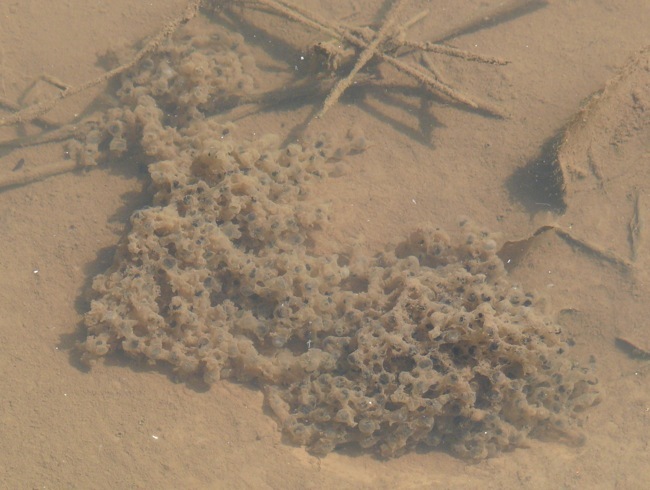 They seem have finished calling in our pond – it’s been very quiet for the last few nights and there are big clumps of frog eggs floating in the water. They’re still calling in the wetland – along with Spring Peepers. 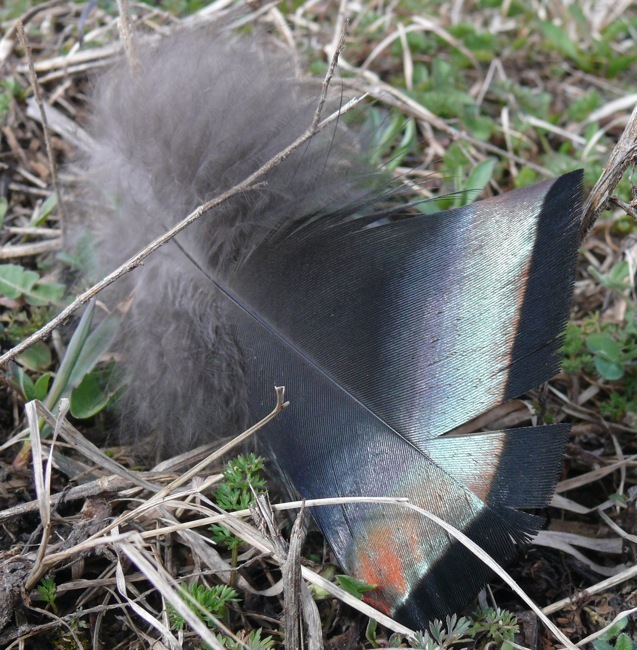 I discovered a coyote den – guarded by a coyote – on the Knife Edge Point. I think I frightened the coyote when I stopped to look, so we’ve been careful to stay far away since then, and I haven’t gotten a photo. I hope we see some coyote pups around there sometime soon! 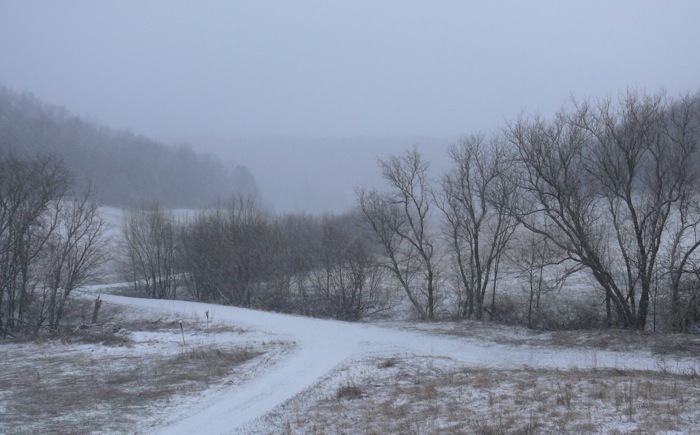 It’s starting to snow again as I’m writing this…..